Having won 3 times, Josh is on our ToC tracker already. See where he compares with the rest of this year’s champions! 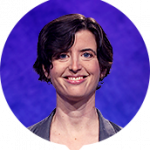 Correct response: What is Harpers Ferry? 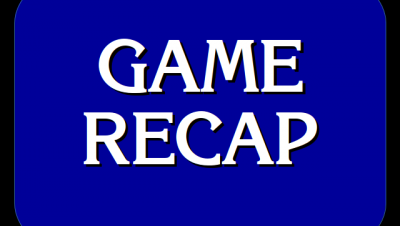 In December 2015, there was a Final Jeopardy! clue about Robert Harper starting a ferry where the Potomac River meets the Shenandoah in 1761. In 1794, George Washington selected Harpers Ferry (then in Virginia) for the site of America’s second armory. (Springfield was the location of the first.) The U.S. purchased 125 acres of land in 1796 and the armory was completed in 1799. When West Virginia split from Virginia during the Civil War, it was decided to be of major strategic importance that the Harpers Ferry crossing remain in Northern hands, especially because the B&O Railroad ran through the town. Thus, Harpers Ferry (which was previously on the Maryland-Virginia border) today sits very near the point where Maryland, Virginia, and West Virginia meet. 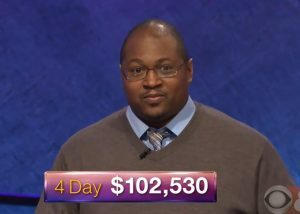 13 Comments on "Today’s Final Jeopardy – May 21, 2018"
Josh Hill with another impressive performance! 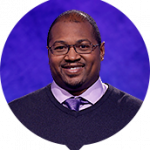 FYI, the link below his picture currently leads to some kind of WordPress admin page, not https://thejeopardyfan.com/toc-tracker as expected. NOTE: By “his picture” I mean his “Today’s Contestants” circular picture. Congrats Josh! Looks he is in the ToC, at least on the short list. Glad to see you’ve left a comment here. Hope all is well with you and that you’re still successfully dodging the lava. Can’t wait to see Josh’s DJ run of correct answers. For a change I’ll actually be home to watch (unless afternoon appts stretch too long). One of his school mascots, I think high school, was the Tigers, so he’s doing a little growl for the people at home. 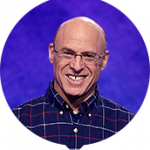 He talked about that in his 1st or 2nd show, which was now several weeks ago, so you’d have to remember that to put context to his answer in this show, when Alex asks what the move is and he says (rather meekly) that maybe he just likes tigers too much. It was formerly spelled Harper’s Ferry, with an apostrophe, and that form continues to appear in some references. Nope! It was a direct quote, and “indented” was the word used in the quote. We checked Wikipedia before and saw “indentured” in the writing, but as you say, the actual picture of the proclamation shows “indented”.